That said, whether you’re a connoisseur or new to the world of wine, we want to help guide you on your journey. Starting with the basics, wine can be made from almost any grape or fruit and even some flowers. The juice from the fruit juice, sugar, and yeast undergo a fermentation process. After the mixture has fermented, the wine is aged and bottled. Beyond these basics, wine has a rich history and is a celebrated beverage around the world. Some interesting facts to consider: Each year over 62 million tons of grapes are harvested and 8 billion gallons of wine are produced. That is more than 1 gallon for each person on Earth per year! The largest producers of wine are France, Italy, Spain, and the United States. While not famous for our grapes, North Dakota boasts a number of wineries, that specialize in fruit wines such as rhubarb and chokecherry. 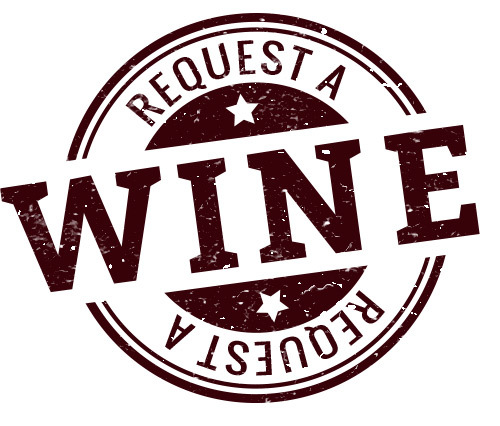 Read our wine related blog posts or stop into the nearest Happy Harry’s location to learn more about the world of wine. Our staff will help you pick out the perfect bottle for any occasion or gift. So many grape varietals, not enough time? Spend a few minutes with Happy Harry’s varietal guide and you’ll be speaking wine in no time. Here is where you will find pronunciation, history, traits & regions of the most popular and well known grape varietals around the world. Recently discovered to be one of the genetic parents of Cabernet Sauvignon (the other is Sauvignon Blanc), it’s known as one of the five major Bordeaux grapes — Cabernet Sauvignon, Merlot, Petit Verdot, and Malbec are the others. Primarily used to blend with Cabernet Sauvignon, it is gaining popularity as a standalone varietal. Typically medium-bodied with raspberry, cherry and plum flavors. Major growing regions include France (Bordeaux) and California (Napa and Sonoma). Often referred to as “King Cab” for its lofty status as the top-selling red varietal; Cabernet is typically medium- to full-bodied with currant, cedar, cassis, chocolate, mint, and berry flavors. Often dense and tannic in its youth, it will gain smoothness and complexity with bottle age. Major growing areas include California (Napa and Sonoma), France (Bordeaux), and Australia. “It’s difficult to beat a nice Duckhorn cab. It pairs wonderfully with a juicy ribeye or stands very well on its own! !” – Kathryn T.
“My favorites are Angels Landing and St. Francis!” – Julie H.
“Louis Martini, Hess, or Bogle are my favorites!” – Sarah S.
Grenache is the world’s most widely planted grape used to make red wine, sometimes as a standalone varietal, frequently as a rosé, but most often as a backbone of red blends. Light- to medium-bodied with spice, red berry, and white pepper flavors, it possesses attractive fruit flavors, color, and soft tannin. Major growing areas are California and France (Rhone — Chateauneuf du Pape and Gigondas). One of the big five “Bordeaux varietals,” Malbec body weight falls somewhere between Cabernet Sauvignon and Merlot. It can bring very deep color, ample tannin, and a particular plum-like flavor component, as well as add complexity to Bordeaux-style blends. While Argentina is having great success with it as a standalone wine, the major growing regions of France, California, and Australia continue to use it as a blending grape. Primarily known as a friendlier, softer alternative to Cabernet Sauvignon. Yet Merlots from some of the higher elevations of California and the great French Pomerol region often produce wines with profound depth and complexity. It ranges from medium- to full-bodied with blackberry, cassis, and plum flavors, lower tannin than Cabernet, and a supple, velvety texture. Major growing areas are California (Napa and Sonoma) and Bordeaux (Pomerol and St. Emilion). Nebbiolo is considered one of the great wine varieties. It is bigger, darker, and more tannic (even bitter) than most types, but consequently long-lived and prized by collectors — especially the Barolo, Barbaresco, and Gattinara wines. Typically medium- to full-bodied with cherry, violets, black licorice, truffles, and rich, chewy, deep and long-lasting flavors. Major growing areas are in Italy (Piedmont and Barolo). Petite Sirah as a standalone is currently experiencing a renaissance, creating a devoted cult-like following who enjoy the grape’s deep color, big forward fruit, ripe tannins, and aging potential. It has long been an important blending grape, mostly added to Zinfandel for complexity and body. California is the only major growing region with over 3,000 acres planted, some quite old. Pinot Noir is one of the most difficult grapes to grow and to vinify, yet the results can be profound. Typically light- to medium-bodied with cherry, raspberry, spice, earth, and clove flavors. Pinot is also used in producing Champagne and Sparkling Wines. Major growing areas are France (Burgundy and Champagne), California, and Oregon. Known as Syrah in France and the United States, and Shiraz in Australia, it is one of the most food-friendly wines produced today. Syrah is typically a medium- to full-bodied, deeply colored wine with spicy aromas, a rich, chewy texture, and violet, tar, smoke, roasted black fruit, and meaty flavors. While more than half the world’s total Syrah acreage is planted in France (Northern Rhone — Hermitage and Cote Rotie), Australia, South Africa, California, and Washington are also major growing regions. The origins of Zinfandel were a mystery for years, but recent DNA research has traced its genesis to Croatia. It’s typically medium- to full-bodied with pepper, blackberry, raspberry, spice, and smoky flavors. Mainly produced in California, it is a versatile grape, primarily used to make a full-bodied red wine and White Zinfandel (a blush wine). Major growing areas are in California. The most popular white wine is grown throughout the world, mostly in the cooler-climate regions. Chardonnay has a range of aromas (from citrus to tropical fruit) and flavors (buttery and oaky to clean and crisp), and is often oak barrel-fermented and aged. Delicate and distinctive, its main growing areas are in California and France (Champagne, Burgundy, and Chablis). Chenin Blanc is arguably the most versatile of all wine grape varieties; from crisp, dry table and light Sparkling Wines to long-lived, unctuous, honeyed dessert wines. It possesses relatively high acidity and a fascinating “oily” texture, and is typically medium- to light-bodied with floral, pear, melon, and slate flavors. Major growing areas are California, France (Loire Valley, Vouvray, and Savennieres), and South Africa (called “Steen”). Hard to say and worth every mangled pronunciation because of its aromatic scent and food-friendly flavors. Although styles vary, the best ones are semi-dry to dry, while others prefer a dessert-style wine. Typically medium- to full-bodied with honeysuckle, apricot, pear, spice, and lychee nut aromas and flavors. Major growing regions are California, Germany, France (Alsace), New York, Washington, and Oregon. Rapidly becoming a star in the wine world, Pinot Gris (called Pinot Grigio in Italy) is one of the most distinctively aromatic and flavored wines made today. Typically light- to medium-bodied, its mildly floral and citrus aromas are often paired with rich and round flavors. Pinot Grigio represents approximately 60% of all Italian white wine consumed, while other major growing regions include Oregon, France (Alsace), and Germany. There are two distinct types of Rieslings produced today: One is quite dry in style, such as the great Alsatian and German Rieslings, and a handful of American Rieslings. The second is a sweet, rich dessert-style wine. Both are typically medium- to full-bodied with floral, petrol, apple, pear, spice and earth aromas and flavors, and normally low in alcohol with high acidity and rich aromas and flavors. Major growing regions are in California, Washington, New York (Finger Lakes), France (Alsace), and Germany (Rhine and Mosel). Sauvignon Blanc (a.k.a. Fume Blanc in California) is relatively high in acidity, which bodes well for food pairings. Typically light- to medium-bodied (medium is more common), with citrus, grass, herbs, hay, and ripe melon flavors. At one time, some California vintners were experimenting with barrel fermentation and oak aging, but the varietal seems to fare better with stainless steel fermentation only. Major growing areas are California and France (Bordeaux, Loire Valley and Sancerre). Even though Semillon grapes make up 80% of the blend of the most expensive and famous dessert wine in the world, Château d’Yquem, they’re more often fermented dry and blended with Sauvignon Blanc. Light- to medium-bodied (medium is more common) with soft, subtle fig, melon, pear, honey, and orange flavors. Major growing areas are Australia, France (Bordeaux, Graves and Sauternes), South Africa, California, and emerging in Washington State. Typically medium- to full-bodied, with rich, complex aromas of apricot, floral, peach, and tropical fruit and mineral flavors. Nearly extinct a few years ago, Viognier is recuperating quite well, gaining popularity and added acreage. While California is credited for the reversal and more vineyards are being planted yearly, France’s Northern Rhone Valley is the major growing region — in particular Condrieu, the varietal’s most famous home. We do our best to fulfill all requests and you will be contacted if we are able to fill your request. Happy Harry’s is limited to availability by our current wholesalers and production capabilities of the winery/brewery/distillery. Most special order take 8 to 12 weeks for products not currently available in North Dakota. Thank you! 2019 Happy Harrys | Bismarck, ND | Website Design by Up & Running Design Co.